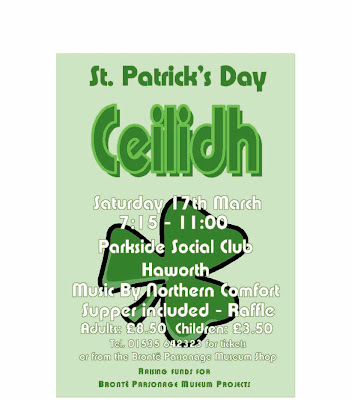 This is the poster for the fundraising ceilidh on 17 March. It is being organised by the Parsonage staff. Please come if you can. If you can't, please remember to raise your glass of whatever you fancy to the Brontës and all their ancestors on the Irish side.